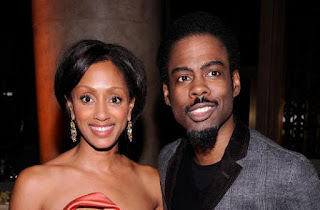 Chris Rock and Malaak Compton finalized their divorce on Monday after 20 years of marriage. Rock, 51, and Compton, 47, married in 1996 and have two daughters together, Zahra, 12 and Lola, 14. The pair separated in 2014 and at that time reports of a third child from South Africa raised suspicion. The 8-year-old girl n amed Ntombi began living with the Rock family in Alpine, N.J. in 2008 when she was just 6 months old, but was never formally adopted, according to TMZ. Sources told the gossip site that the comedian never signed documents to adopt the girl and his wife was responsible for bringing her into the country. When the Rocks filed their initial divorce documents, it was reported that South African officials launched an international investigation into how Ntombi came to enter the United States. However, the couple’s lawyer, David Aronson, denied that Compton did anything wrong.